Observation: I tried to die six other times in the past by taking my own life, but that wasn’t God’s plan. He has given me the opportunity to fulfill my purpose and die when He desires me to come home. 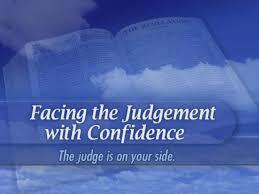 Now my judgment is different, before I was destined to hell, now by my Savior’s love and sacrifice destined to heaven. I have an opportunity now to fulfill my purpose serving God until my predestined time comes. Application: To take the rest of my life in service to God. To live each day in thanksgiving and honor to God. To fulfill the purpose I have here. Take each day at a time, not knowing when my last moment on earth will be and to be ready for my judgment day. Observation: I look back on my life and realize how much I’ve sinned. How most of my life was focused on me, not my family or friends and especially not God. God doesn’t only forgive my sins, but He forgets all about them as if they never happened. I wish I could forgive like that. Application: Stop thinking about my past, unless it’s a testimony to help someone else. Know that the love of God has given me a new beginning and live this life in thanksgiving, glory and honor to God. 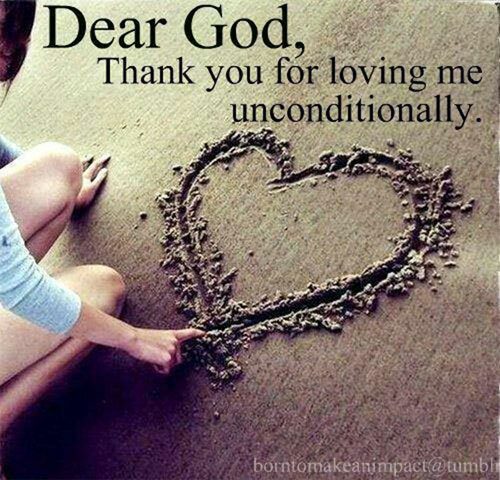 Prayer: Dear Lord thank you for your forgiving heart, your love, mercy and grace. Do a work in me and create in me this servant you desire. Scripture: Hebrews 7:  Therefore he is able to save completely those who come to God through him, because he always lives to intercede for them. Observation: Jesus has interceded for me, how else can a Holy and blameless God love me, the worst of sinners. He has saved me from eternal death and has given me eternal life with Him. It’s time to get busy and to try to be thankful for all He has done for me. Application: Realize the sacrifice and love God has given me. Realize my life belongs to Him and live in glory and honor to Him. Make my life count for God and show my appreciation by the way I live. 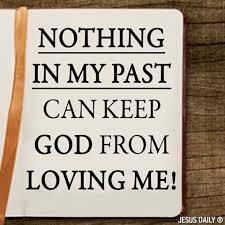 Prayer: Dear Lord thank you for loving me so much that you would sacrifice yourself then intercede for me, giving me the greatest gift ever, eternal life with You. Scripture: Hebrews 6:  God is not unjust; he will not forget your work and the love you have shown him as you have helped his people and continue to help them. Observation: I can’t do enough for God because all He has done for me. Yet as I’m doing it trying to pay back a little for all He has done He still appreciates what I do. He wants me to show Him my love by the way I love others, because they’re His. Application: I need to look at each person I see as an opportunity to please God. I need to put aside my judgmental ways and look at others as a child of God, a brother or sister in Christ. 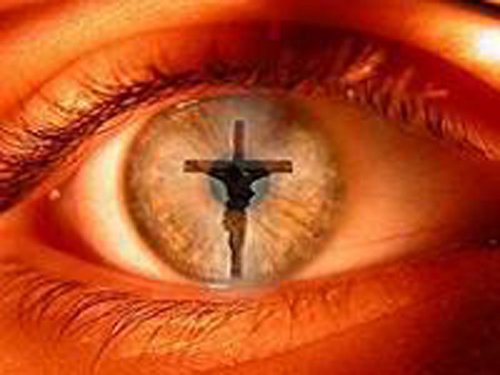 Prayer: Dear Lord open the eyes of your servant and teach me how to trust others and to love them as you love me. Scripture: Hebrews 5:  But solid food is for the mature, who by constant use have trained themselves to distinguish good from evil. Observation: Constant use in this scripture I believe means constant reading, studying and praying. To continue to strive to become closer to God. Solid food is true teachings that makes us better Christians. It’s not enough to just hear the Word, but I must become a doer of the word. Application: I need to set aside more time in doing what God desires of me. Need to spend time working on small groups or my book each day. When I read I must read with understanding putting forth a better effort. Prayer: Dear Lord I thank you for not giving up on me. Guide and direct your servant on what you would have me do now. Grow my in my knowledge of You. Scripture: Hebrews 4:  For we also have had the gospel preached to us, just as they did; but the message they heard was of no value to them, because those who heard did not combine it with faith. Observation: Faith is the key to Christianity. Christ healed according to faith, faith in Jesus saves us. Unfortunately for me my weakness is a lack of faith, which causes me to fall short from God’s total blessings. It keeps me from fulfilling God’s purpose for me. Application: To make a stronger effort to increase my faith and believe totally in my Lord. To stop worrying so much and to trust God totally with my life. Read His word and put it into action each day. Prayer: Dear Lord thank you for your grace and mercy. I ask that you increase my faith and grow me closer to you. Scripture: Hebrews 3:  But Christ is faithful as a son over God’s house. And we are his house, if we hold on to our courage and the hope of which we boast. Observation: We are His house, the body of Christ, but we must believe and have hope in Christ. 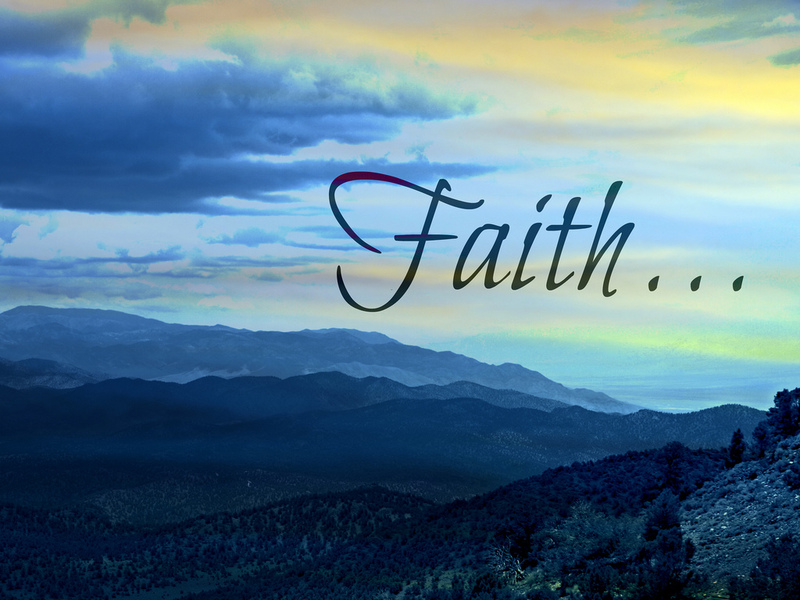 Our courage comes from our faith we have in Jesus that He is our Lord and Savior. I can boast in my Lord. 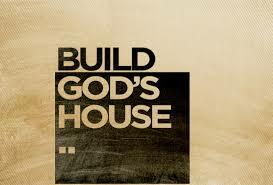 Application: I need to be a man that can be called the house of God. A man that desires to be like Christ, a servant in His house that is obedient to the call of his Master. My strength should come from my hope and faith in my Savior. Prayer: Dear Lord thank you for calling me in Your house. Make me worthy by your sacrifice and have me honor You.